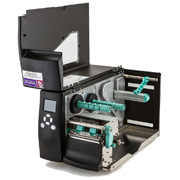 Our best selling Tharo H Series printers now have even more features! Our NEW H427+ and H435+ printers build on the success of their H400 Series predecessors offering additional features including full colour screen, quicker menu navigation, standard Ethernet port and one touch label calibration. Fully compatible with the previous model H Series printers you can plug and play upgrade your printer and now use the extra USB port for no PC attached stand alone operation. 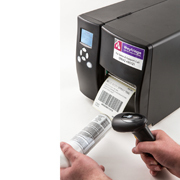 Choose from 203dpi for standard carton and barcode labelling or 300dpi for improved presentation of small barcodes, text and logos. 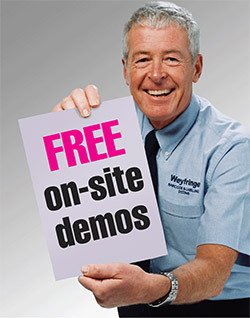 H+ Series printers from Weyfringe are still supplied right out of the box with FREE everything you need to start printing labels direct from your PC. Upgradeable Easylabel Start label design and print software, power and USB cables, introductory label and ribbon rolls and a comprehensive printable manual are all included at no extra cost. Please click here to see the wider model H600 Series printers. The same quality and features as the H400 printer with the ability to print wider labels up to 178mm.